Airfares LIM/AQP, AQP/CUZ, CUZ/LIM included. Upon your arrival in Lima we will pick you up from the International airport of Lima and we will take you to your hotel located in Miraflores. You will have the remainder of the day to relax or walk around. You will spend the night at your hotel. At 8:45a.m., we will pick you up from your hotel in order to start a city tour. During this city tour, we will take you to downtown Lima where you will visit the Cathedral, the main square, the Catacombs, the San Pedro church, and the “Plaza San Martin”. This tour will include a visit to the Larco Museum. After enjoying the beautiful architecture and art of downtown Lima and the Museum, we will take you to the airport in order to take an afternoon flight to Arequipa. Upon your arrival to the airport of Arequipa we will pick you up and we will drive you to your hotel located in downtown Arequipa. You will spend the night at your hotel. In the morning you will have time to walk around the city and enjoy its beautiful colonial style. At 2:00p.m., you will start the guided city tour. This tour will include a visit to the Cathedral, Claustros de la Compañia, the Monastery of Santa Catalina, Carmen Alto and Yanahuara. You will spend the night at your hotel. At about 7:30a.m., we will pick you up from your hotel. A comfortable minibus will take you to Chivay, where the Colca Valley is located, after about a 4 hour trip. On the way, you will observe llamas, alpacas, and vicuñas in their natural habitat as well as several Andean birds. Upon arrival in Chivay, you will enjoy lunch and after that you will be accommodated at your hotel. In the afternoon you will enjoy the natural hot springs of the region. You will spend the night at your hotel. At about 7:00a.m., we will pick you up from your hotel in order to start a guided tour of the beautiful Colca Valley. Your first stop will be the Condor Cross where you will observe the impressive Andean condor flying in its natural habitat. After watching this spectacle, we will take you to the Andean town of Maca where you will visit the local church and rest before continuing. Upon arrival to the town of Chivay, you will enjoy lunch and immediately after we will take you to your hotel in Arequipa. You will be in Arequipa at about 5:00p.m. You will spend the night at your hotel. Early in the morning we will pick you up from your hotel and we will drive you to the airport of Arequipa where you will take a flight to Cusco. Upon your arrival in the airport of Cusco we will pick you up and we will drive you to your hotel located in downtown Cusco. You will spend the night at your night. At 2:00p.m. you will start a guided city tour. This tour will include a visit to the Cathedral, the Temple of Qoricancha, and the Inca ruins of Sacsayhuaman, Qenqo, Puca Pucara, and Tambomachay. This tour will let you learn about the Inca culture as well as some aspects of the conquest of the Inca’s Empire and the colony. At about 6:00p.m., you will be back at your hotel. You will spend the night at your hotel. At about 8:30a.m., we will pick you up from your hotel in order to start a guided tour of the Sacred Valley of the Incas. This tour will let you observe an amazing view of the Urubamba River and the valley as well as a visit to the ruins of Pisac and the marketplace of the same name. After lunch, which is included on the package, we will take you to the Andean town of Ollantaytambo where you will have a guided tour of the incredible Inca ruins of the town. You will be back in Cusco at about 7:00p.m. You will spend the night at your hotel. At about 6:30a.m., we will take you to the train station of Poroy in order to take the 7:42a.m. Expedition train to Aguas Calientes. Upon your arrival in Aguas Calientes at 11:50a.m., we will take you to your hotel in order to check-in. Then you can have lunch in town. If you desire, you might enjoy the hot springs of the town. You will spend the night at your hotel in Aguas Calientes. 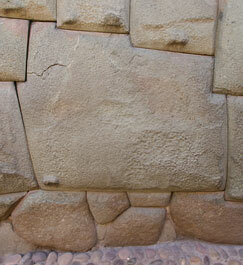 You will take a bus to Machu Picchu where you will have a 2 hour guided tour of the most important rooms and temples. After the tour, you will be free to wander around and come back to Aguas Calientes whenever you desire. At 6:20p.m., you will take the expedition train to Ollantaytambo. Upon arrival to the Ollantaytambo train station, transfer to your hotel in Cusco will be provided. You will spend the night at your hotel. Breakfasts are included at all hotels. All other meals are not included unless specified in the itinerary. Please proceed to booking by clicking on the date you would like to start the Tour.